Two Prepaid Cell plans are available from Cingular-GO Phones , "Unlimited" Minutes and Pay as you go "Basic". Cingular-GO Phone "Pick your Plan" has Four Options. With pick your plan you need to set up automatic Monthly payments. I explain the Pick your Plan on another page. Link to Cingular Wireless Go Phone "Pick Your Plan". Unlimited minutes to other Cingular Mobile Phones for $1 on days you use your phone. Then it is 10 cents per minute to any other phone. Nights and weekends are also 10 cents per minute. Amounts deposited into your account expire as follows: less than $25, 30 days; $25 to $99.99, 90 days; $100, 360 days. If most of your calls go to other Cingular wireless users this is a great prepaid plan. If your phone is a Cingular Contract Phone and your spouse or child only calls you this could be a great plan. It will cost $1 per day when you use it. It is a nice little extra that you don't pay the daily access fee unless you use the phone. This is the only unlimited calling plan with this option in all the Prepaid Cell Plans I have evaluated. Amounts deposited into your account expire as follows: less than $25, 30 days; $25 to $99.99, 90 days; $100, 365 days. When you put in a $100 card you now get 1 year of activation time as long as you don't run out of minutes. So with this Basic Cingular pay as you go phone plan you get 90 days of access for $25 and 100 minutes to use. The minutes on the Basic Go Cell Phone plan are expensive, there are better deals elsewhere. Check out my Best-Prepaid-Cell Phone Plans page. The Best feature to the "Unlimited" Go plan is if all your friends have Cingular service you can talk all you want for $1 per day on the Unlimited plan (only to other Cingular customer phones). You can save money by buying your Cingular-Go Phones online through LetsTalk. Usually you can save the $35 activation fee buy purchasing online. Unused account balance is forfeited upon expiration. Account balance may not exceed $500. You need a Cingular GSM 850/1900 MHz - Dual-band at minimium to work on their network. 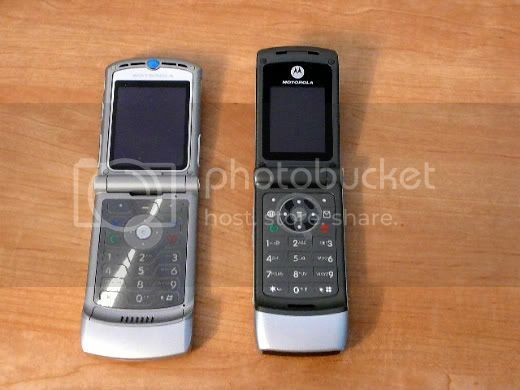 The phones offered for Go plans online range from $29.95 to $69.95 for a basic Flip phone to $249.95 for the Cingular-GO Motorola Razr . This is one of the Pay as you go Cell companies offering the Motorola RAZR as a Prepaid phone. These Rules apply to both Basic and Unlimited Go Plans. Text Msg 5 Cents to send and 5 Cents to receive. International text 20 Cents to send and 5 Cents to receive. Cingular will text you with your updated balance after each call. This is a great upgrade---it used to be a hassel to figure out how much credit you had left. Pay As You Go accounts will be canceled 60 days after expiration. An activation fee and new phone number will be required to reactivate service. Add .10 per minute for calls from the US to Mexico, Argentina, Columbia, Costa Rica, and Dominican Republic. Add .15 per minute for calls from the US to Canada, Brazil,Chile, Uruaguay, Ecuador, Guatemala, and Paraguay. Other international rates add .29 for Israel, .39 Western Europe, .69 Caribbean, .79 Eastern Europe, .89 Asia/Pacific, .99 Africa, and .99 Middle East. Customer Service number 1-800-901-9878. Call from a land line or you will be charged minutes.